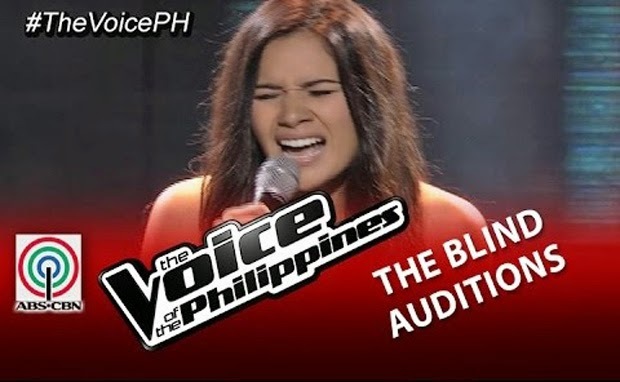 Probably one of the most interesting artists to consider in the Blind Auditions of The Voice of the Philippines Season 2 is Patricia Gomez. She is 21 years old from Muntinlupa City and a half Filipino, half Columbian. Patricia is not an ordinary girl or the kind of girl that you are thinking since she is sporty type. She tried boxing, lifting, jiu-jitsu, and many more. And despite being sporty, one of the things that she is struggling with is her stage fright. Patricia is nervous whenever she is facing a crowd. Patricia is beautiful. She performed the song “Hit the Road Jack” to overcome her shyness which has become her purpose of joining the competition. During her performance, it was hard for the coaches to decide if they will turn their chairs or not. It was obvious that they were waiting for something that Patricia will do in order for them to make a decision. Coach Bamboo even raised his hand to give her signal that she should raise her voice. In the end, the rock icon turned his chair. Since Coach Bamboo was the only coach who turned his chair Patricia automatically belonged to him. When the coaches saw Patricia, they said to Coach Bamboo that he was so lucky. This is due to the fact that Patricia was good looking. Coach Apl.de.ap smiled at him and made a skeptic stare. Coach Bamboo then jokingly said to Apl.de.ap “why are you looking at me like that?” They were happy that Patricia became an official member of Camp Kawayan.